New Van Halen album for February? 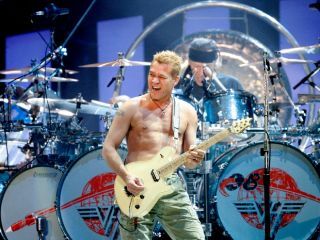 Things seem to be finally hotting up in the Van Halen camp, with a new album, tour and single expected to be announced within the coming weeks. Fansite Van Halen News Desk is reporting that it has the exclusive schedule of events/announcements leading up to the release of the band's currently-untitled twelfth album, which will kick off with a tour announcement - of most likely North American dates - later today. The fansite says that we'll then see the premiere of the band's new single and video next Monday (10 January) - the same date that tickets to the forthcoming tour dates will go on sale - before the album's release on 7 February. The new full-length will be the band's first with vocalist David Lee Roth since '1984' (released that year) and sees bassist Wolfgang Van Halen (Eddie's son) make his recording debut.